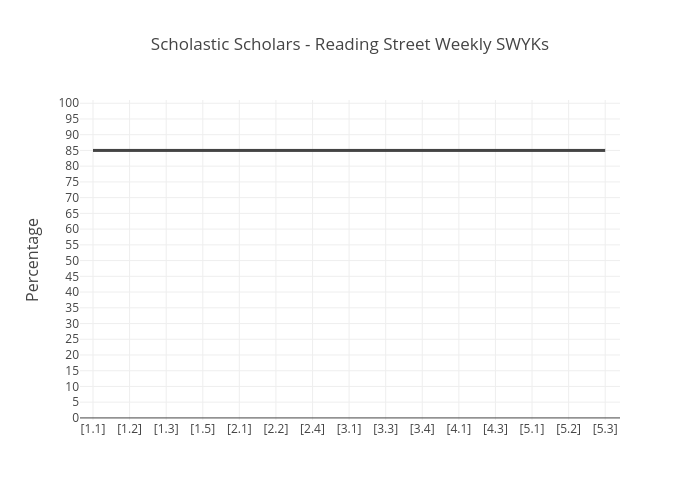 Room430's interactive graph and data of "Scholastic Scholars - Reading Street Weekly SWYKs" is a line chart, showing C vs B; with in the x-axis and Percentage in the y-axis.. The x-axis shows values from -1.6113427856547122 to 25.611342785654713. The y-axis shows values from -0.6616060727127007 to 101.02413223534742.